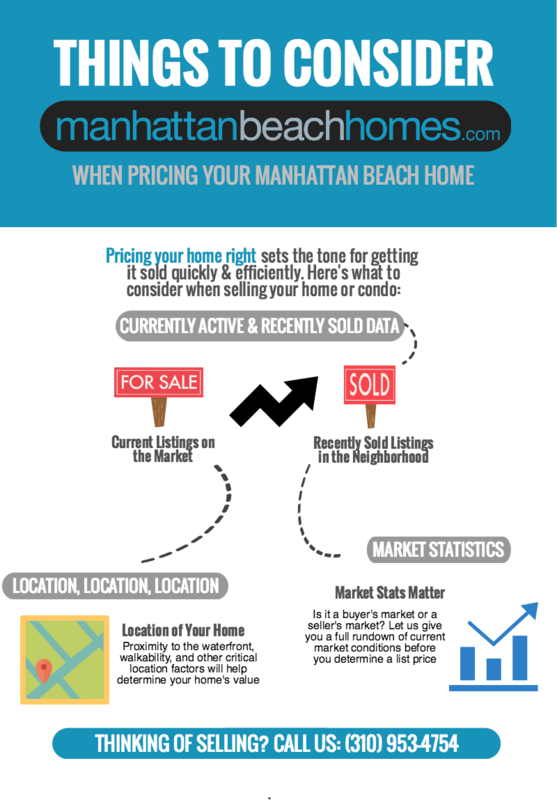 Looking at active Manhattan Beach homes for sale is a great way to gauge where the market is at, and how your home might fare should you decide to list. First, if your home is priced well above many other comparable homes currently on the market, chances are you won’t get the same kind of attention as other lower-priced homes. Second, it’s also worth noting that just because a home is listed for a certain price, that doesn't necessarily mean that’s the final selling price—which is also another key component we’ll transition into now. Arguably more important to consider than active properties, considering comparable sold properties is critical in how you might want to price a home. Buyers’ agents will undoubtedly use recently sold data when making a competitive offer, so the closer we value your home to other similar sold homes in Manhattan Beach, the quicker you’ll see offers that make sense for both sides. How Closer Are You to the Water? In a place like Manhattan Beach, waterfront homes for sale are king of the castle, so-to-speak. Buyers will undoubtedly pay a premium to either live directly on the beach, or within walking distance to the sand. So depending on where your home is located in relation to the oceanfront, your home might command a higher price than other comparable homes that are situated further inland. If you’re not fully up-to-speed on how the current condition of the Manhattan Beach real estate market, don't worry—that’s where we come in. Inside our free comparative market analysis, we’ll provide you with all the latest statistics that relate to inventory, median home prices, recent sales, and more. Understanding where the market is at will not only go a long way in determining how easy it will be to sell your home, but also where to price it based on who’s buying and who’s not.